While I found sort of a compromise for the next month of TWD, I recently found out that I do not only miss baking, but also blogging about my food-related experiences. Actually, during my holidays in Washington and NYC I was very busy following a long, long list of things to do, to see and to buy. And a large extent of this list consisted of food-related stuff. Stores, shops, restaurants, bakeries (a whole lot of bakeries...). Can you spot all the goodies? First of all I got myself some sweet treats. 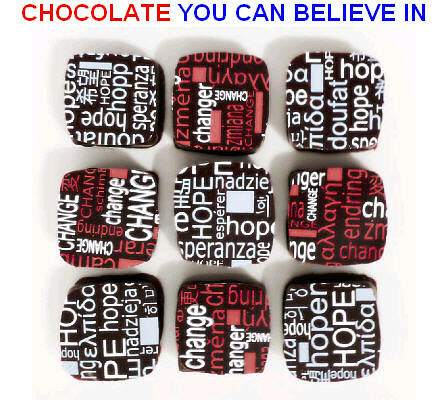 Look at this incredibly beautifully wrapped chocolate bars! You can really win me over with nicely wrapped chocolate. 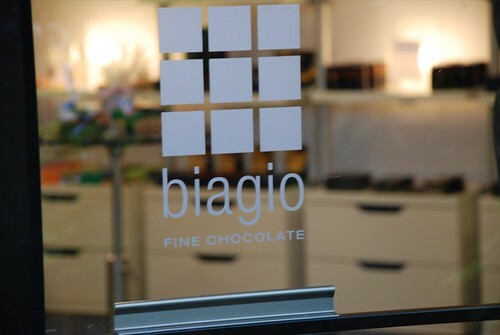 At my frist stop, in In Washington DC, I found just by chance a wonderful little chocolate store, Biagio Fine Chocolates. It is downstairs, in the basement, and I almost ran by. Additionally, it has an italian name, and I am one of the few people who are not deeply in love with italian food culture. It's not that I absolutely don't like it. I am just always asking myself why I should go to an italian restaurant, as long as there are asians, and why I should go to Italy, as long as there is France. And why I should learn, speak or read italian, as long as there is spanish. Nevertheless, no idea why, but I walked down the few steps and entered a wonderful shop. They have a lot of fancy chocolate tastes, but also a big variety of origins. And they have a wide range of domestic chocolates, and I believe it is not always necessary to buy things that had to travel thousand of miles only to be eaten by me. (And, to be correct, in this case only to be taken with me some more miles back to Europe... I don't see a lot of sense therein.) 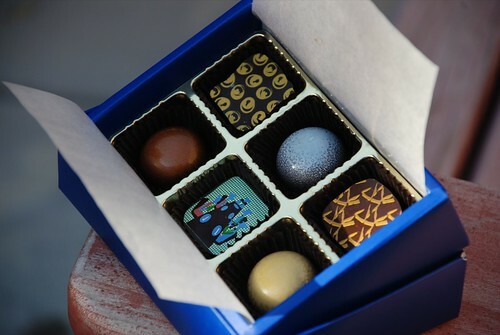 They also feature local chocolate-createurs and sell amazing truffles, individual chocolates and caramels. And I took the two mini bars from Newtree, the "Refresh" (dark chocolate with mint) and the "Crave" (milk chocolate with apricot) (Yes, I know. Newtree is indeed belgian, and I have one of their Alpha-bars, the one with thym and flaxseed, at home, waiting for a decent occasion to be opened. But you can't get this series in Europe. And I took the very very little ones. By the way, I like their wrapping design a lot, too. I often go for a clear, not too overloaded design). In NYC, I went to Dean&Deluca and for an instant I thought "why not just buy everything in here?" But then reality came back to my mind, so besides several coffees (on several days, for sure) and several pieces from their bakery (Almost all wonderful, I love D&D. Only the Angel Food Muffin was a huge, major dissapointment. I never had angel food before, and heard it so far only in the combination with chocolate. But the customer behind me, who was a bit in a hurry, told me that it is just something with a very special texture, so I tried it. I hope, they gave me an old piece from the day before, because otherwise I would be almost shocked how anyone can eat this rubber-like stuff!! ), on the sweet side I opted for a chocolate bar from Mast Brothers Chocolate, which is a not too big enterprise based in Brooklyn. The Murray's Cheese HP says about them: "The only bean-to-bar producer in New York City, the Masts have converted a 100-year old factory in the "village" of Williamsburg into a veritable Willy Wonka land for handmade chocolate bars." Sounds good, huh? Here you can see how lovely and wonderful their other bars look like. I am pretty moping that I didn't find out earlier that they have a shop in Williamsburg. Well, as I said, I need some excuse to come back, anyways... My beautiful bar is with (very) dark chocolate (81%) and almonds, sea salt and olive oil. Well, let's see after the end of Lenten season! I am still a bit sorry that I didn't also get one of the Moo Kids Chocolate Bars (the nice wrap - you remember :o]), but I just couldn't afford to buy all the different chocolates I would have liked to. And the Mast Brothers products are, as wonderful as they look like, pricey, pricey, pricey. At my very last day I went to Vosges Chocolate and when my surprise, that I actually already had something from Vosges, volatilised, I decided on the box of excotic caramels : Aboriginal anise myrtle+dark chocolate; Mexican guajillo chillies+licorice root+dark chocolate+organic pumpkin seeds; Hawaiian red sea salt+milk chocolate+li hing powder; Brazil nuts+South American cocoa nibs+dark chocolate. (Half of the ingredients I don't know. Ok, that's an exaggeration. But what is guajillo or li hing powder? So much for "I stick with the trivial tastes"). And I took two truffles on the hand. Actually, I have to say that they were a bit of a dissapointment. Maybe it was not the right day, maybe I was not in the right mood. Maybe it was because, about one hour before, I had the best, best, best cupcake ever. But I realize that this blog entry is already far too long, so I will stop here and write about my restaurant- and bakery-visits next time!